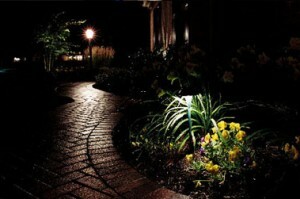 Professionally-installed lighting and irrigation around walkways, paths and driveways is as much about safety as it is about an easy way to enhance some of your property’s most attractive (and highly utilized) features. Our experts have been helping home and business owners in Maryland, Northern Virginia, Delaware and Washington, DC, with their walkway lighting and irrigation needs for more than 25 years. Contact us today and let us ‘walk you through’ the best solution to your particular walkway needs.